Jade Elephant Polish "Sunken Lava"
Hi all! I haven't been around much the last couple of weeks, mostly due to being busy at school. I have a little under a month left before I'm done! Anyway, today I'm going to try and get some posts put up that I've had sitting around and just haven't had the time to publish. 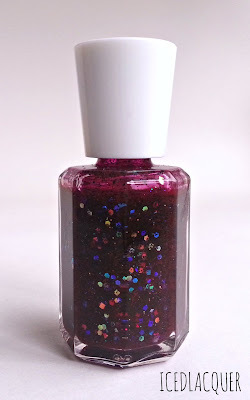 I recently heard about (on Reddit) the beginning of a new brand of indie polish called Jade Elephant Polish. 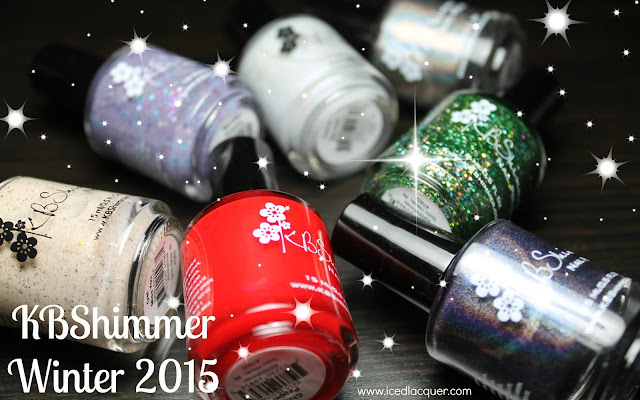 The owner, Raquel, sent me one of her first three polishes, which is what I'll be showing you! 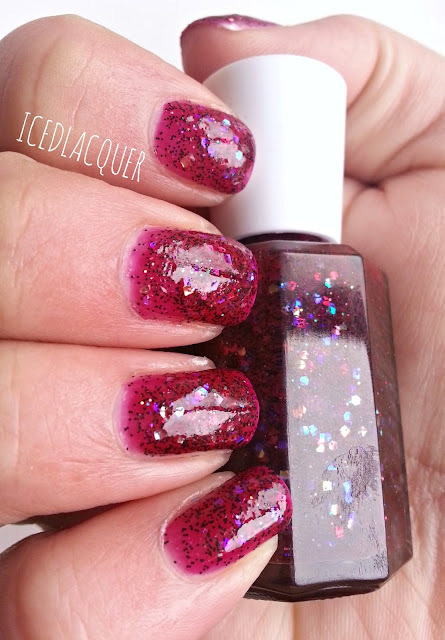 Sunken Lava features a deep red jelly base and is filled with tiny black hex and medium iridescent hex and square glitters. I have to say, I have never seen another combination like this! 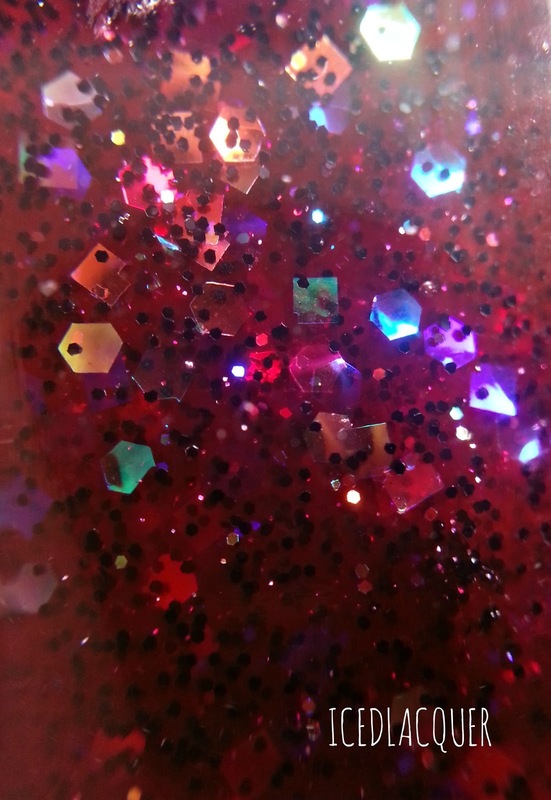 Unique color and glitter mixes are a huge plus when I look at newer brands. The polish itself was a bit thick, but not terribly hard to work with. I actually think the thickness was mostly caused by the large amount of iridescent glitter in there. 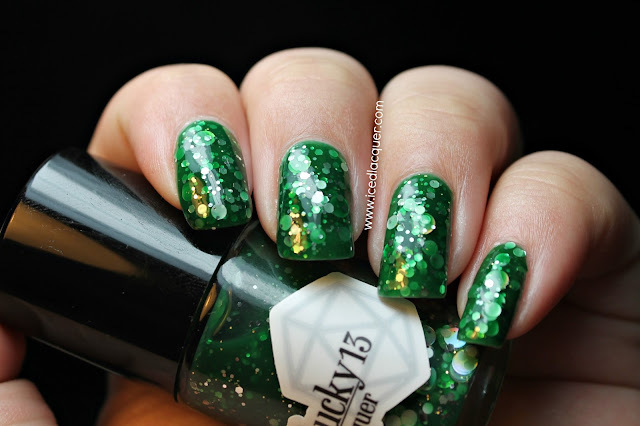 I'm of the opinion that a polish with a lot of glitter is almost always better than a polish with not enough! 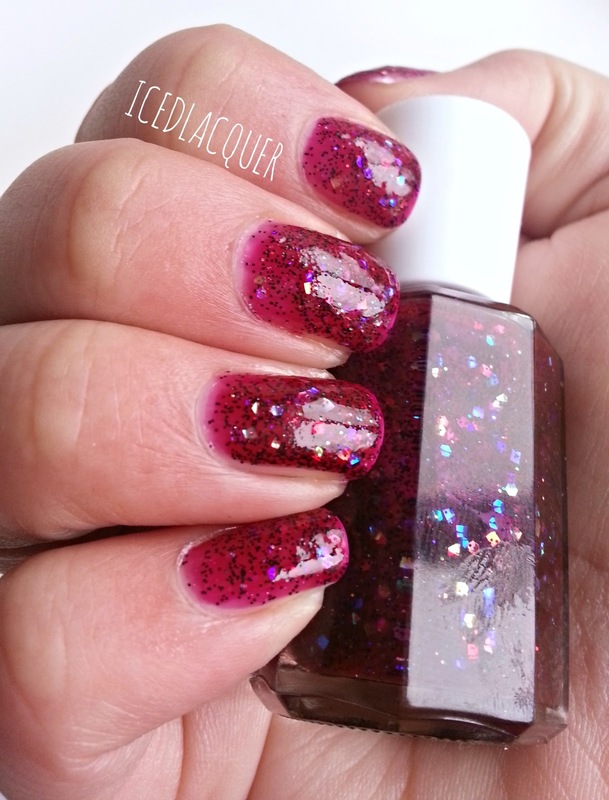 The glitters definitely look like they're floating among the layers of polish, which adds so much depth to it. It's so interesting to watch how the iridescent pieces catch the light at different angles and throw a multitude of colors. I believe I used three coats, plus top coat here. As you can see, I had some thin spots so I think next time I'd layer it over a red and see what that does. 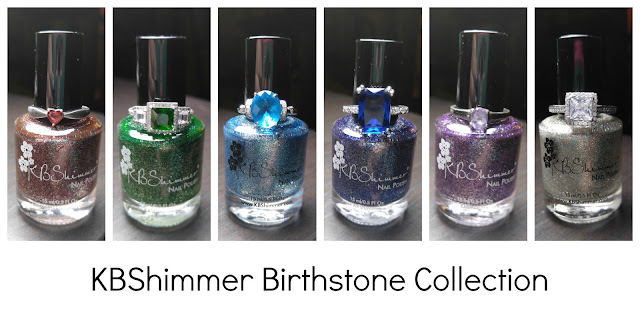 Overall, I love the bottles and the unique combination of color and glitter! While this isn't one I'd usually go for myself, I found myself really liking it! I'll be curious to see what other combinations Raquel comes up with! If you'd like to check out her shop you can find it on Etsy HERE! Thanks for sticking with me, you guys! (Even when I disappear. x_x) I just hit 300 likes on Facebook so I'm working on getting a giveaway put together soon!